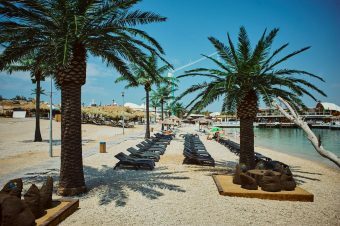 Noa Beach Club is located on the sea just next to Papaya and consists of several islands, which are interconnected with bridges. 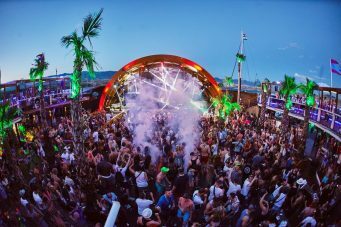 The club measures about 2000 m2 and combines dance floors, pools, bars and relaxing areas with Techno, Minimal, Trance and House music. Several sunbeds invite you to have some drinks in the shade the whole day. 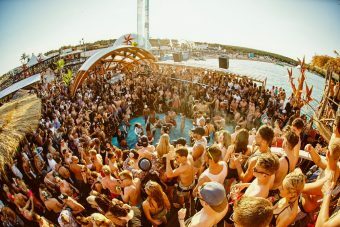 There´s also the possibility to jump right from the club into the refreshing sea. After your short cool bath, you can climb the small ladder back to the dance floor. 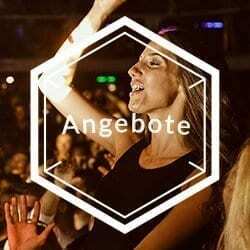 You can find all events and festivals in our eventcalender. 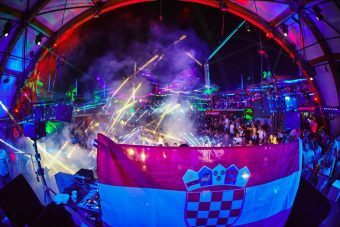 Anyone who is planning to welcome the new year of 2018 in Croatia should consider heading out to the island of Pag. 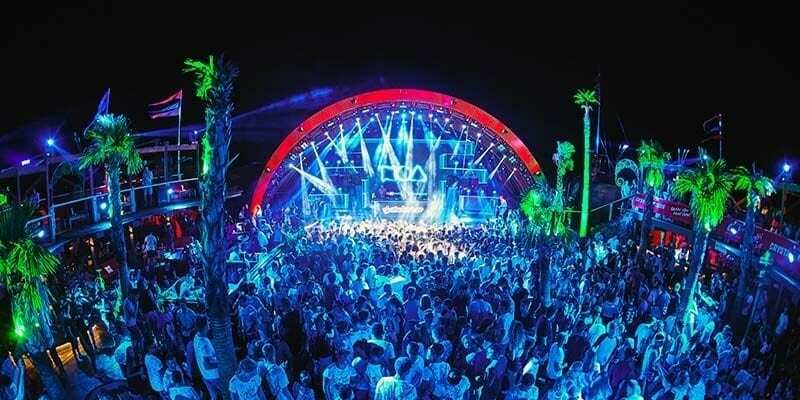 An amazing party is waiting for you in the shores of Novalja beach in Zrce, and you will learn all about it here. 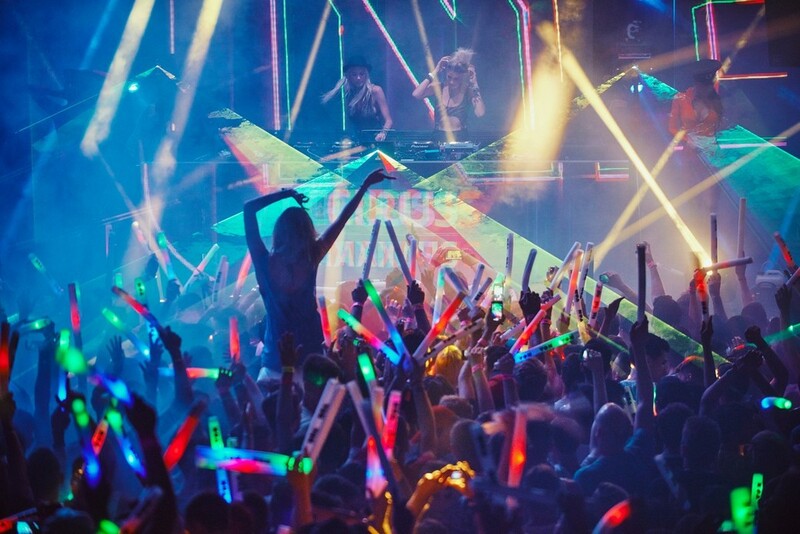 Read on and prepare to have the best new year’s eve party of your life! 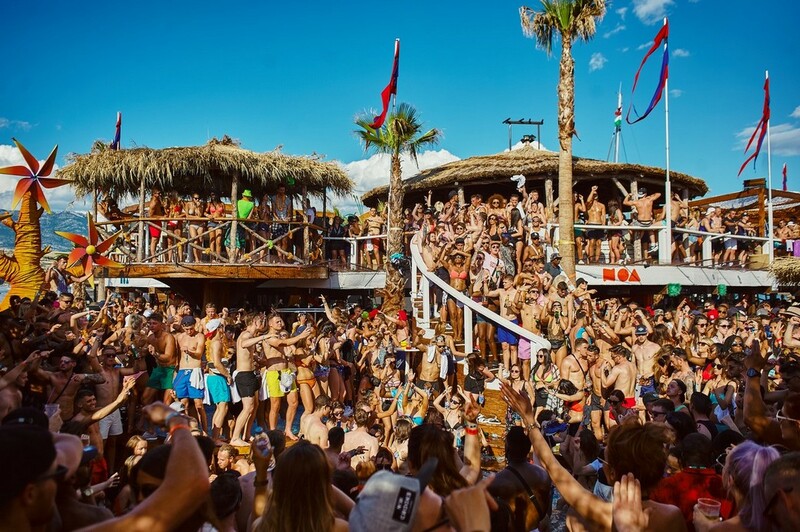 It’s not by chance that so many party people com from all over the world to the shores of Zrce beach. 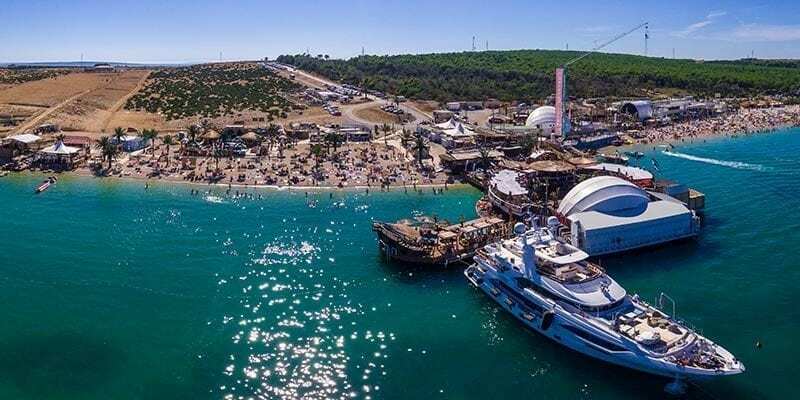 This is where Noa Beach Club is located, a legendary place which has long been making a name as the best and most exciting night life attraction in the entire Adriatic region. 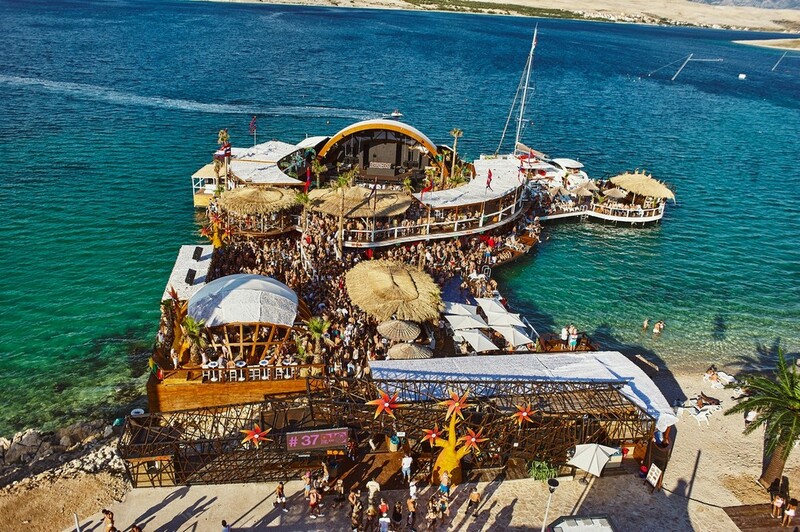 What’s so special about this place, you might wonder? 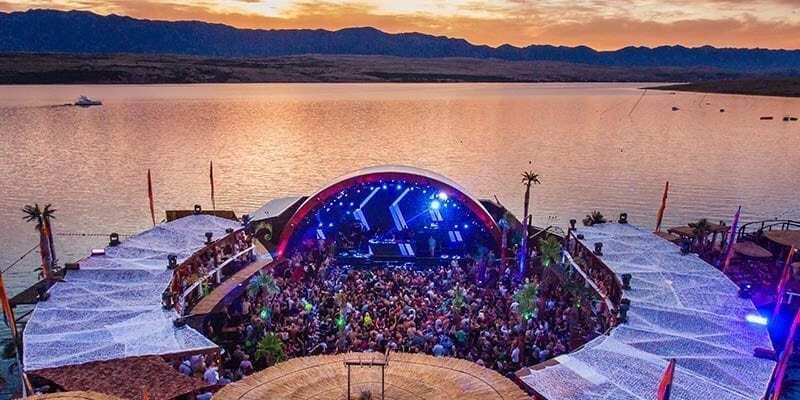 This luxurious club was built over the sea shore and features a thrilling view of the best sea and mountain landscapes in this region of the globe. 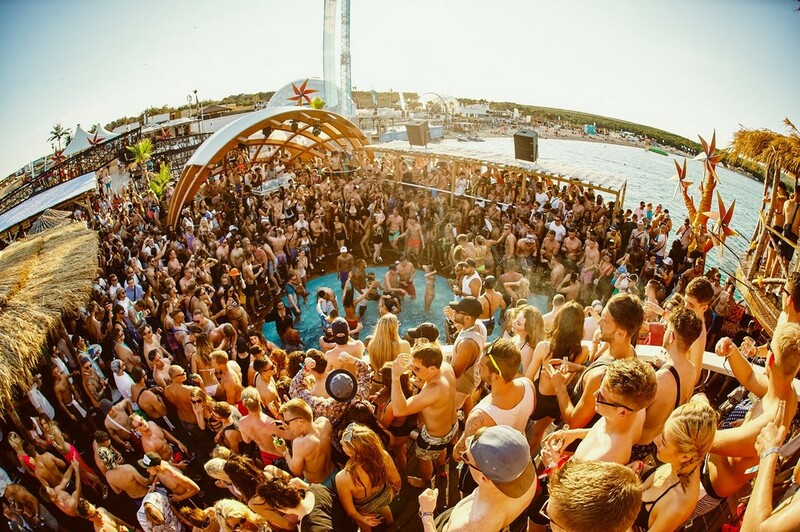 When coming there you’ll find all kinds of amenities and attractions asides from the night club, such as restaurants, water sports and boat parties. 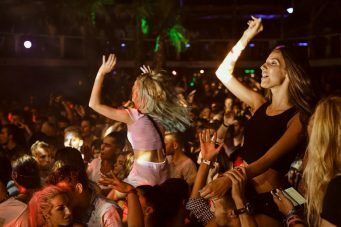 There are also some other fun clubs nearby such as Papaya and Aquarius. 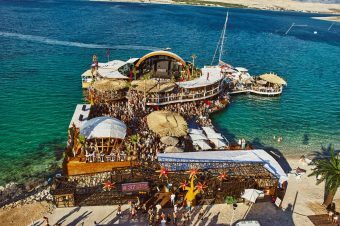 Getting to the party zone is very easy, since there are frequent taxi transfers and other means of transport heading directly to Novalja. 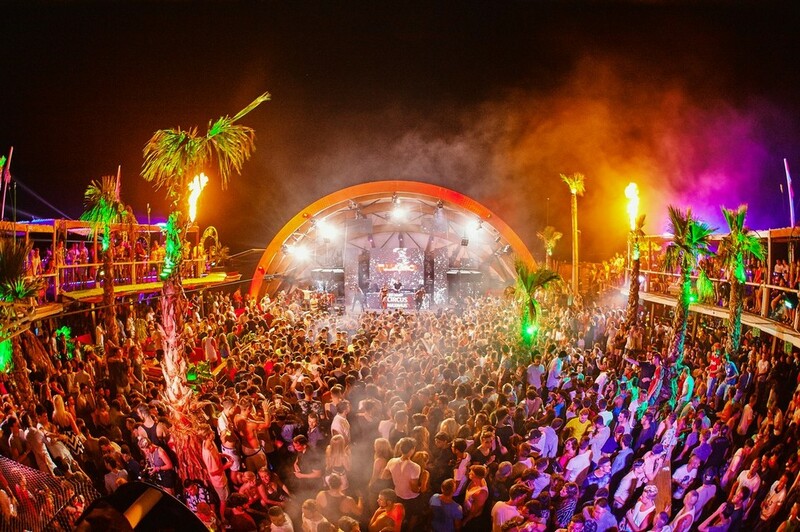 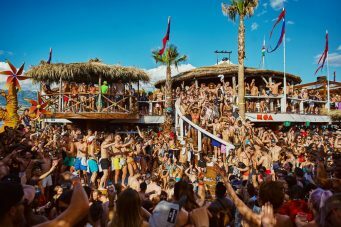 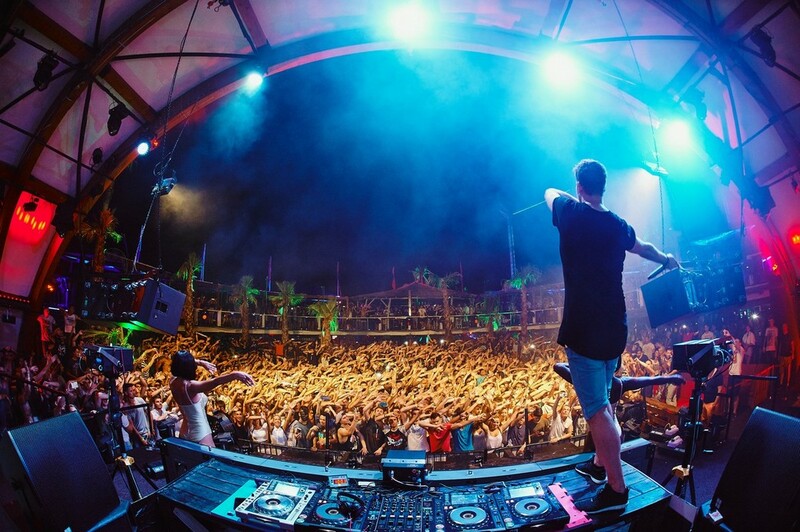 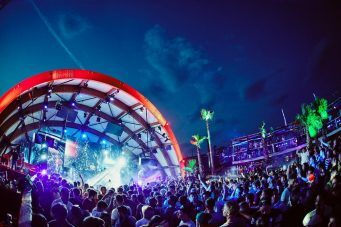 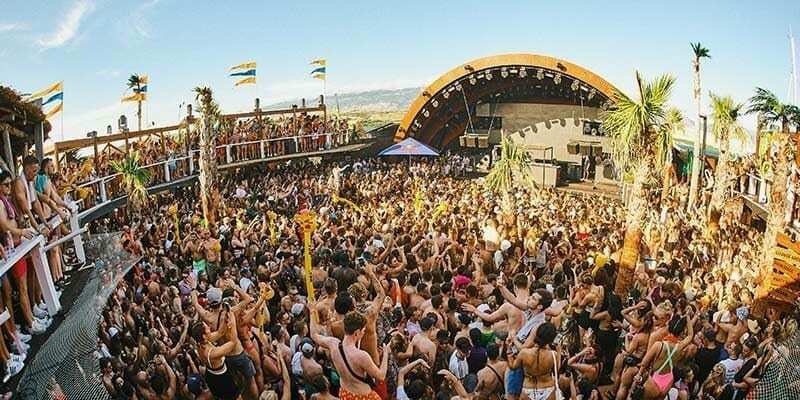 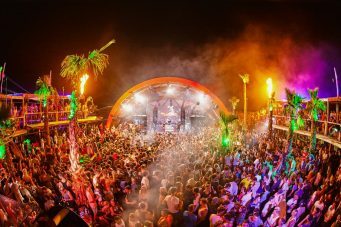 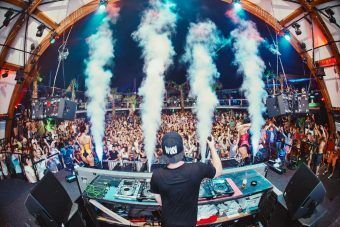 Once again this summer, Noa Beach Club is organizing the festivals that everyone is talking about. 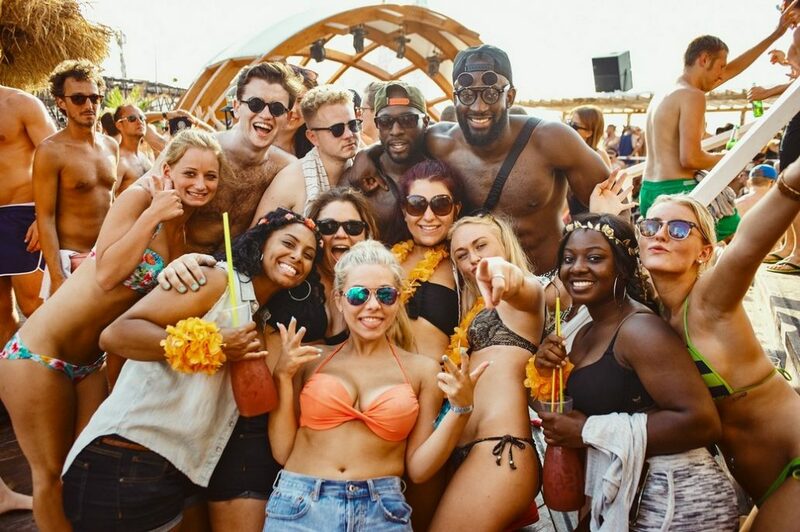 This will of course spread out into a massive after beach party comprising the entire beach and all its exciting attractions. 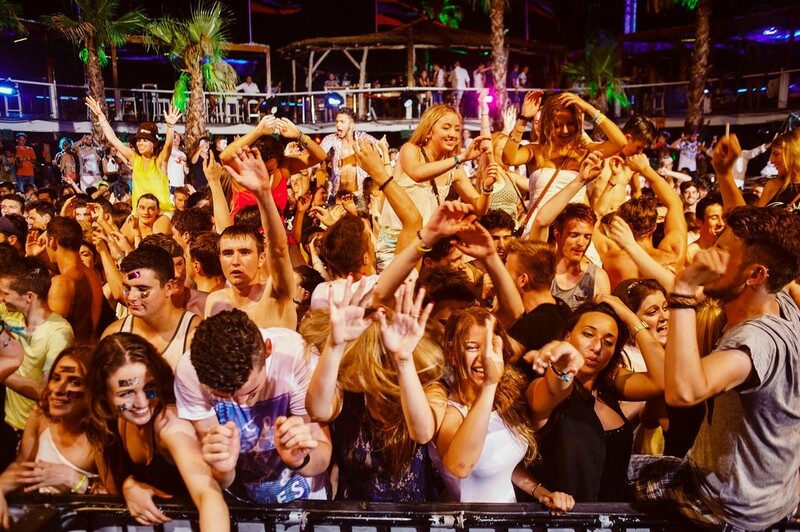 It’s not by chance this club is regarded as one of the 100 best in the entire world! 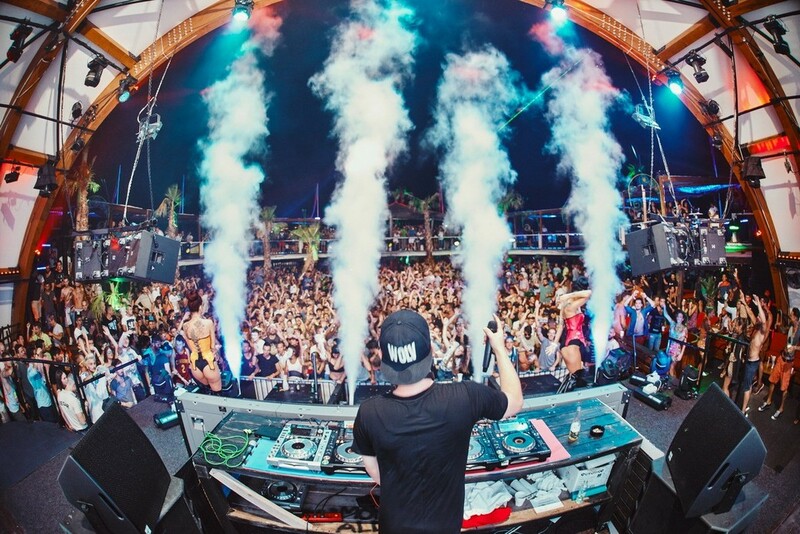 These people are really serious when it comes to making unforgettable parties. 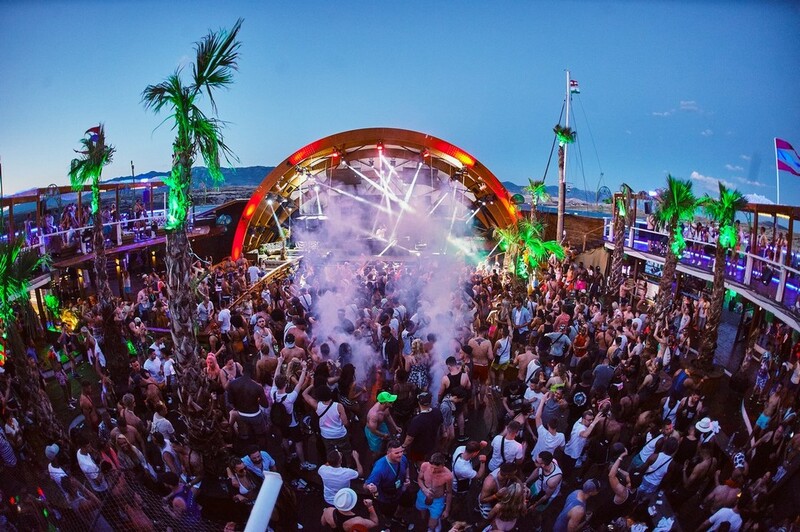 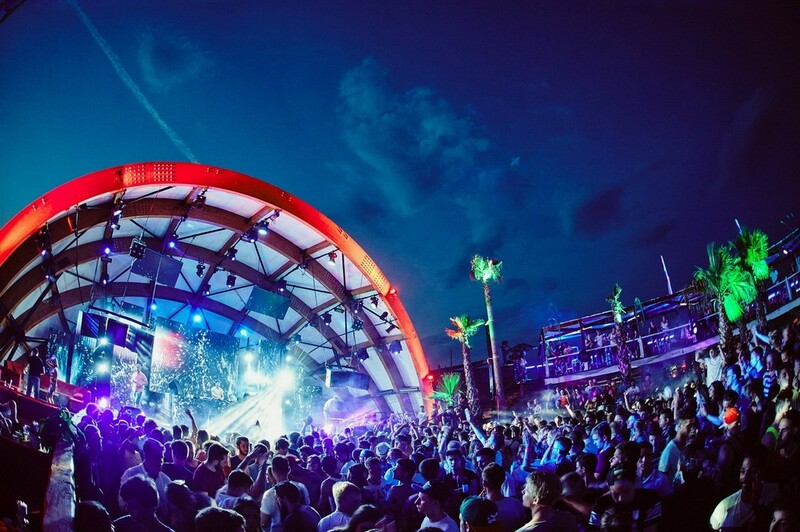 Don’t miss Hideout Festival or the Sonus Festival. These are the biggest parties in this area.